How cute are these neighbours to the North. 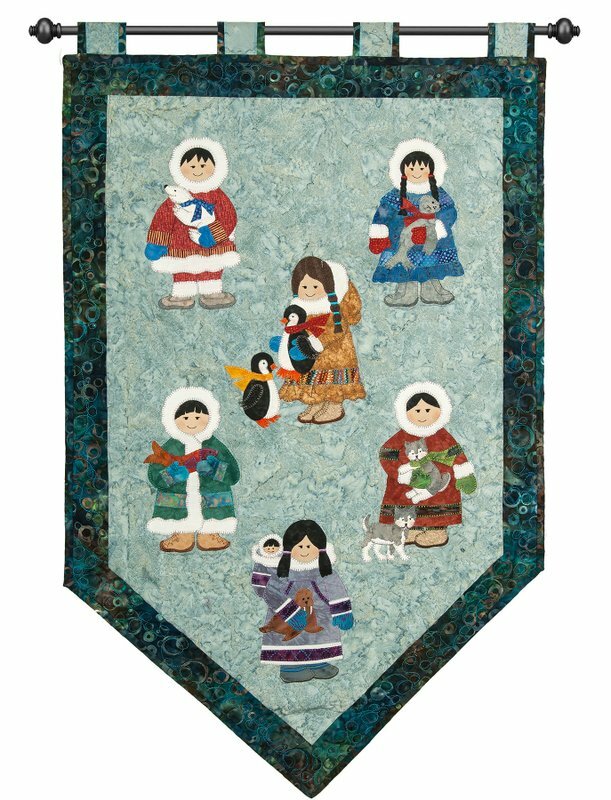 Six little children dressed in traditional garb hugging tightly onto their favourite friends (polar bear, seal, penguins, salmon, huskies and walrus). After completing the large wallhanging, we thought that it would make an adorable Christmas project, so the pattern and cover depicts one Eskimo girl in Christmas fabric with a seasonal tree decorated with coloured bulbs. This wallhanging is another machined appliqué project. Finished Size 251/2" x 41" Christmas 14" x 19".